By the end of the decade, more than half of all people will live, learn and work digitally connected. These people use keywords such as Social Media, mobile, web-based applications, Industry 4.0, digital business models, Internet of Things, Big Data, etc., to describe the phenomenon that influences our daily lives as individuals and part of a global community. While digital interconnectivity is already omnipresent and has become a matter of course to many of us, it is connected with growing challenges or even existential fears for others. The volume of data and information that would reach us over the entire cycle of our lives more than a hundred years ago now floods digitally connected people on a single day. 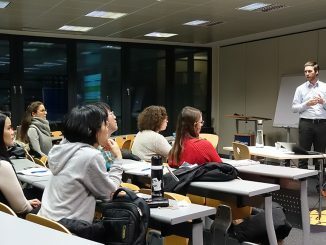 Munich Business School has been scrutinizing the subject area of digitization intensely for some time already: both in the Master International Business and in the Bachelor International Business study programs, we offer business concentrations in Digital Business and International Innovation, and Digital Business respectively. In 2015, Munich Business School launched its MBS Connected Vehicle Lab, a platform for science, research, industry and services. 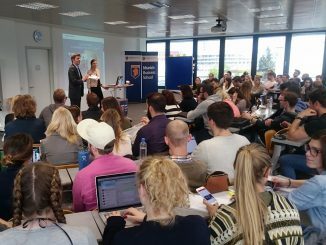 It serves the faculty, the students and experts from corporate practice as a platform for exchange about the latest learning and communication forms on the subject of future mobility. At the end of last year, a comprehensive publication, titled “Digital vernetzt: Transformation der Wertschöpfung” (approx. : “Digitally Connected: The Transformation of Value Creation”) was created, with contributions of more than forty authors from science and practice, under the supervision of MBS. Along with this, Munich Business School will host the MBS Symposium “Digital vernetzt” (more information on the event and free registration can be found here) on March 30, 2017. One chapter of the reference book shows how customer requirements change in the age of digitization and how corporate marketing should react to this if it wants to successfully master the digital transformation. The following article contains excerpts from that chapter, published with kind consent of Hanser Verlag, which published the book. Facebook currently has about 1.55 billion active users around the world. WhatsApp has 900, and YouTube 320 million of active users. The users exchange pictures, videos, audio and text contents and produce User-Generated Content at a volume that has become impossible to grasp: In July 2015, for example, 400 hours of video material per minute were uploaded on YouTube on average. On Facebook, more than 3,000,000 likes are given every minute. Millions of evaluations, comments and assessments are produced – not only for private events but also for companies, products and services. A look at the media use of the German population shows that digitization and interconnectivity have established themselves in particular in the everyday lives of generations X, Y and Z. These generations currently make up more than 60 percent of the German population. They are called Digital Immigrants, Digital Natives, and Technoholics. Mobile, online, social media and Facetime communication changes the manner in which people collect information, interact, correspond and act. Effects are evident in the private and professional areas of life alike, in particular in a changed information and consumption behavior. The Customer Journey, which describes how customers move from the initial consideration of a possible product purchase to the actual purchase has fundamentally changed. Where customers used to become aware of new products via TV spots (stimulus), for example, and then relatively quickly found their way to stationary trade in order to collect further information, the figures of the Zero Moment of Truth study by Google show that an average person used more than ten different sources already in 2011 before making the purchase. These sources range from personal recommendations from friends and family to information search on websites and blog entries, to evaluation of test results that are available online. It does not surprise us at first that a customer uses various sources of information to make a purchasing decision. However, it is decisive that one of the most important sources according to this study has become finding information online via search engines or comparison websites. Online comments and reviews by persons who have already bought the product are an important source of information for one third of the respondents as well. 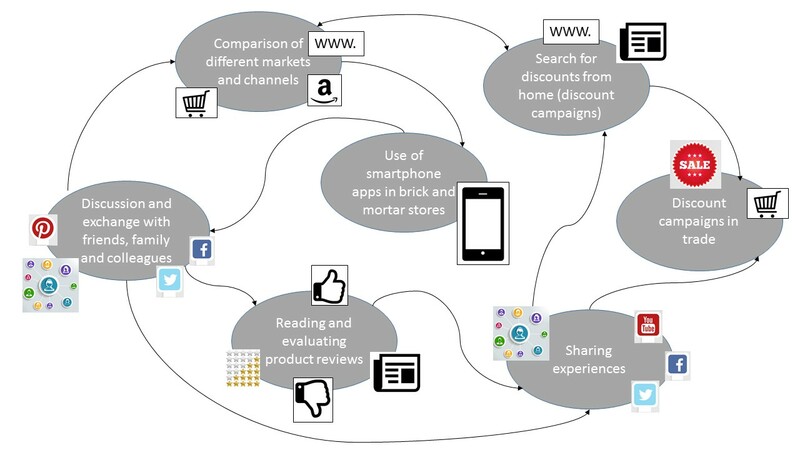 The second decisive change is in that the Customer Journey is no longer linear (narrowing the eligible brands down from many products on the market until a specific product is selected over time, keyword: Marketing Funnel), but has become an iterative and circular process with many feedback loops and an expanded evaluation phase via digital media (see figure). 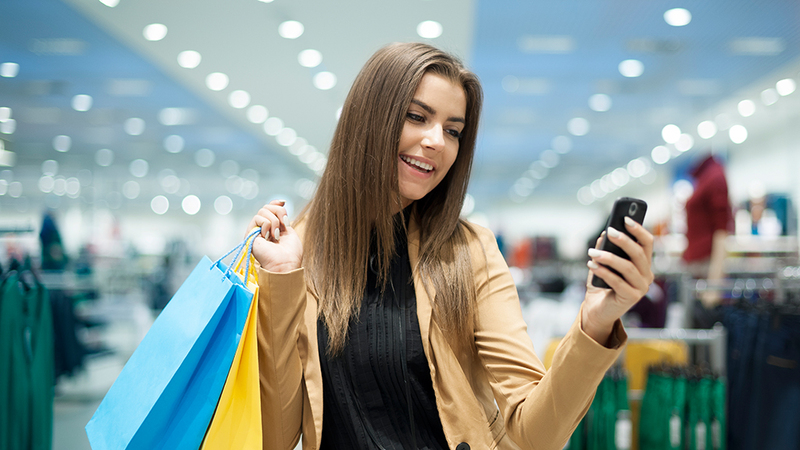 Fundamental changes are also evident while shopping in brick-and-mortar stores: customers look for the closest relevant store via a mobile app and explore special bargains or product information on their phones while out. The next step includes products and services that proactively offer the customer updates and additional services and perform these autonomously before he starts the actual Customer Journey. This skips the interface with the customer and creates direct communication between the product and the manufacturer. Examples can be found in the area of predictive and proactive services (e.g. predictive maintenance) of plant constructors or in the automatic update functions of the electric cars by Tesla. Not only the customer’s points of contact during product evaluation and selection have been fundamentally changed by digitization, but so has the product itself in many cases if it has been digitized. A typical example of this can be found in the music industry, which had or has to adjust its business models and income structures comprehensively due to digitization of music data and the resulting online availability. Music, formerly traditionally sold on data carriers, can now be made easily available immaterially. The same applies to publishing services: In addition to the pure print version, digital internet magazines and online publications including expanded services such as additional and background information or comment functions are now available. In these cases, the decisive factor often is monetization by preventing customer migration to other providers (lock-in by producing high conversion costs when switching to a competitor) or the multilateral use of customer data (Data Mining, Big Data Profile). Lock-in situations are also produced by additional service offers to supplement a physical product. Nike+ products are an excellent example of this. Nike is continually developing a globally connected virtual community of activity and sport enthusiasts via sport bands, sport watches and various fitness apps. The members engage in exchange on training targets, training progress, routes and methods, connect with each other and thus become and remain part of the Nike Community. We can clearly see: the digital customer uses the benefits of digitization for himself. He acquires complete market transparency in many areas. Additionally, there are diverse ways in which he can assess, share and comment on his experiences with the product or service of a company via social media. All of this gives the customer great market power. Linking many different pieces of on- and offline information makes the customer not only digital, but also interconnected and smart. Together with the changed customer action before, during and after purchasing a product, the requirements and demands customers have to the product and a company’s service are fundamentally changing. They expect customized solutions adjusted to their personal needs that they can articulate and procure at any time and immediately (on demand) via digital and mobile end devices. The customer determines (permission), where, when and how a product or service is of interest and benefit for him and how to contact the company offering it. Quick and immediate contact, smooth transactions and short response times are mandatory for him. Flexibility is not only reflected in the 365/24/7 accessibility of a company, but also in the need-based control (on demand) of a product or service. Depending on his demand, a customer can book or buy a certain (additional) service, such as movies or TV shows from Video on Demand providers. American Express has been making use of the demand of interconnectivity for many years via its American Express Open Forum. The company connects micro-size entrepreneurs who are part of the company’s customer base on its online platform where it offers information and reports on subjects specifically customized to them, such as finances or productivity. It links the customers to industrial experts and provides applications for exchange among themselves. On the other hand, it receives valuable customer insights and creates customer loyalty. When the customer consents to being contacted by a company (permission), advertising mailings or newsletters are only the first option. The target is to prompt customers specifically to provide their data in order to receive a certain added value. 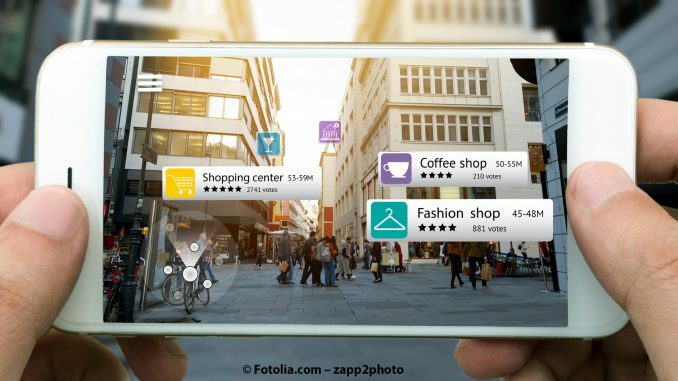 In combination with Location Based Services, where potential customers specifically receive coupons or references to special campaign offers on their mobile end device when they enter a store after giving their consent, new ways of customer contact in the area of Permission Marketing result. Independently of size and industry, many companies are already active in this part of digital marketing: Furniture store POCO Domäne, the gym chain Fitness First and the Fast Food chain Subway provide site-specific discounts and vouchers in temporary campaigns. BMW offers additional information on sustainability, electro-mobility, design and art at certain locations via the Foursquare platform in 30 towns. The museum quarter in Vienna uses Foursquare as well, in order to interest the young, technology-loving target group in visiting museums: they distribute small free presents to those who check in. These selected corporate examples clearly show: Changed customer behavior poses new challenges to companies and in particular those responsible for marketing. Yet there are also many approaches to meeting the changed requirements of smart customers and successfully designing the transformation. 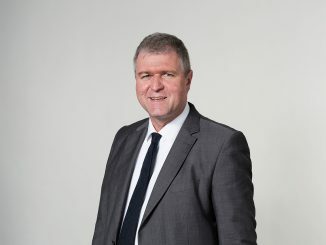 Hans H. Jung has been holding the professorship for Marketing at Munich Business School since 2012. After his graduation, he worked several years as a manager and consultant for premium car manufacturers in Germany and abroad. Since 2011, he has been working for the management consulting agency UNITY AG as Senior Manager. Prof. Dr. Patricia Kraft has studied Business Administration focusing on marketing, strategic management and statistics, and did her PhD in the domain of international marketing at Regensburg University and the University of Colorado, USA. During her doctoral studies, she made major contributions to the launch of three new study programs within the Bavarian elite network. After many years of professional practice in the fields of marketing and strategic management in the capital goods industry and in financial services, she now teaches the subject areas of strategics, marketing and communication at various universities. Since 2014, she has been a professor at MBS and since 2016 Academic Director of the Bachelor International Business program. Dritte Auflage des MBS Happiness Evening: Warum ist Dänemark das glücklichste Land der Welt?